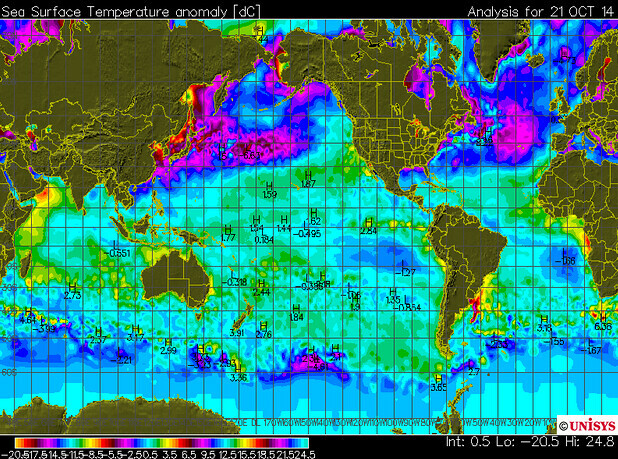 The above image represents how the sea surface temperature anomalies looked on September 21st, just one month ago. Some areas along and north of I-70 have received between 20 and 30 inches of moisture! Conversely, areas south of I-70 haven’t received as much. However, the moisture that they have received has gone a long way in helping cure the awful drought. 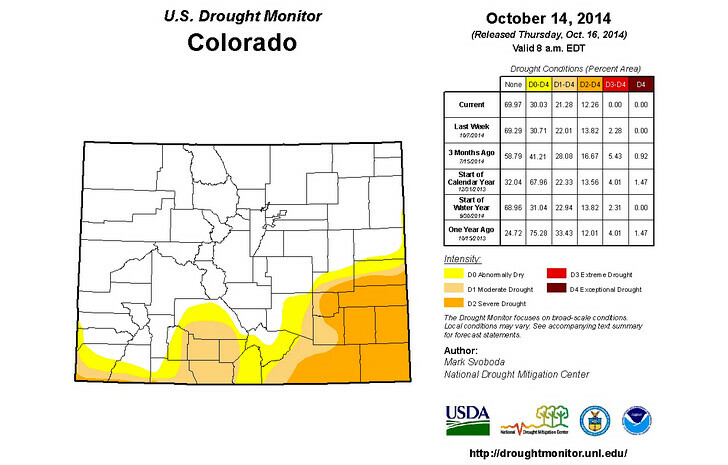 The most recent drought monitor suggests that too. Here’s how things looked just five months ago on May 20, 2014. 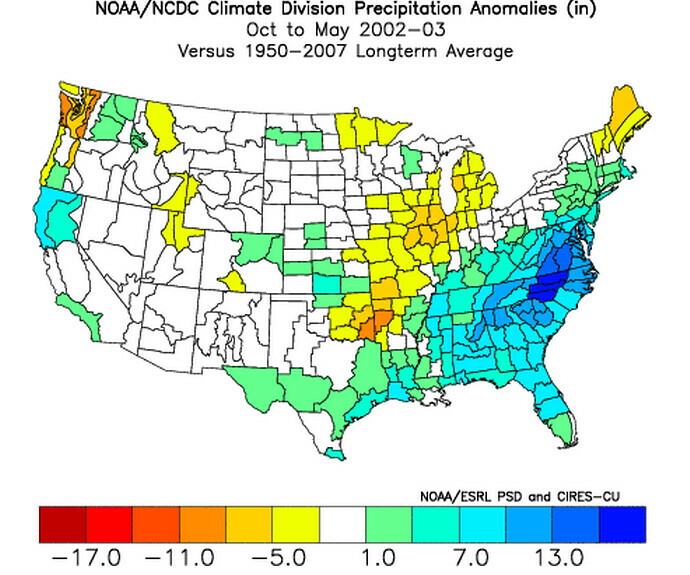 Much of the drought that you see above was the result of two years of below normal moisture. 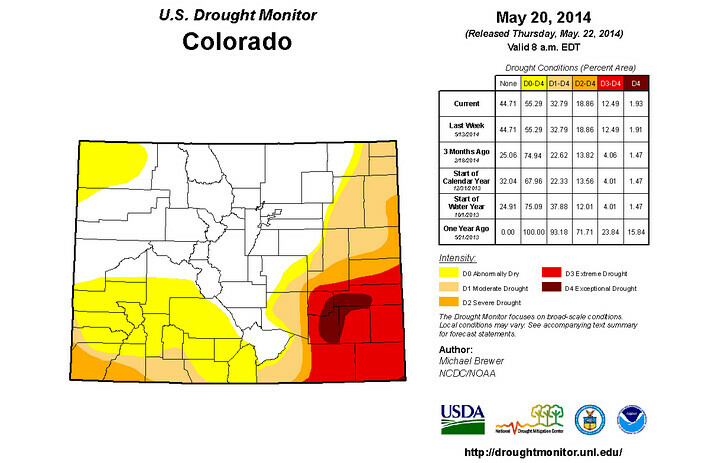 In fact, that two year period was one of the driest on record for many areas in far Southeast Colorado. 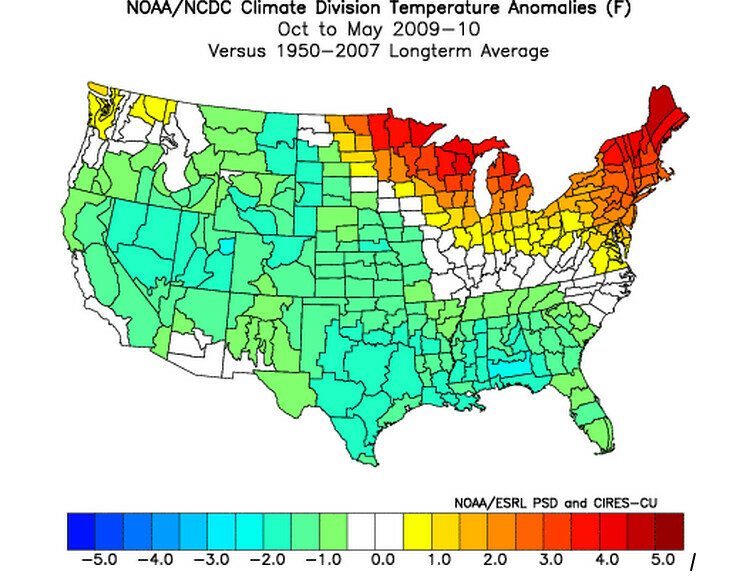 I firmly believe that it was a result of the PDO being in a long term cool/negative phase. 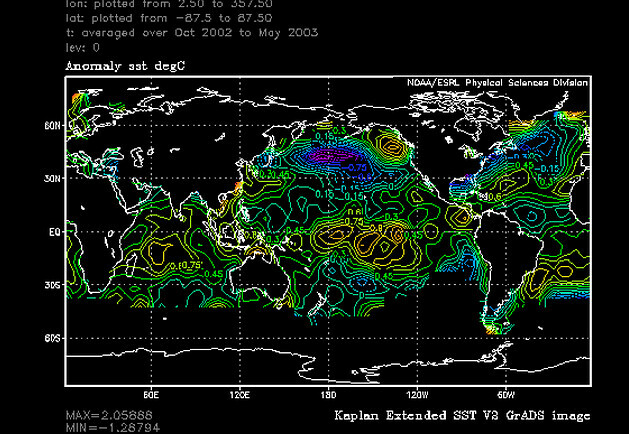 That phase is more prone to La Nina episodes which are notoriously windy and dry for many areas east of the mountains. Bottom-line, the short detour in the PDO to a warm/positive phase has been very instrumental in helping us in the moisture department. Analog Years You have heard me mention analog years before. 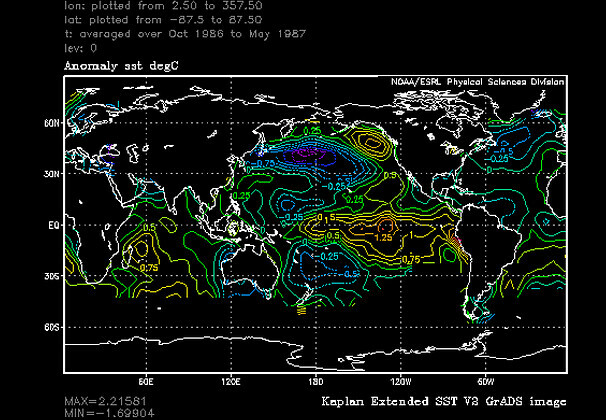 These are simply other years in the past that have similar global weather patterns to those that are occurring currently. Contrary to the belief of the Climate Prediction Center, they are a very important part of long range and seasonal weather prediction. 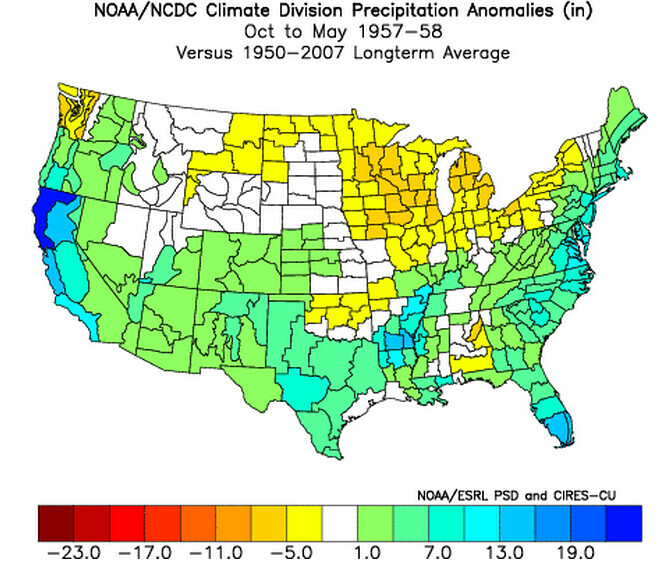 In fact, through about mid-to-late summer this year, 2009-10 was acting like it would be the perfect analog year to project the rest of 2014 and into 2015. While it is still in the running, there are other years that look even better. 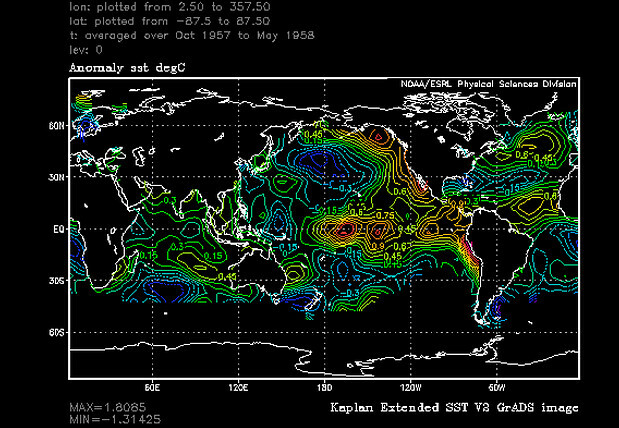 We have to break them down in terms of what the SSts looked like during each particular year, then we can see how the temperature and moisture panned out. This has a similar look to what’s happening now. We see colder than normal water extending eastward from Japan, warm water in the ENSO (El Niño Southern Oscillation) region extending westward from South America, and some residual warm water along the western coast of North America. 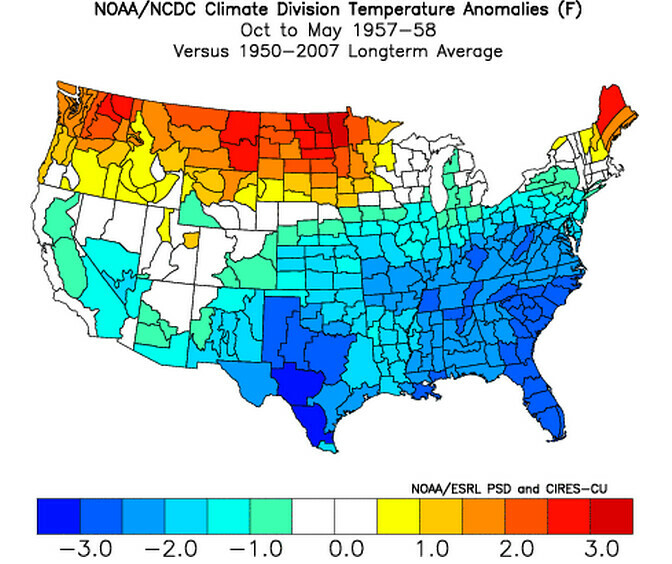 Yellow to red means warmer than normal, while the greens and blues mean colder than normal. In general Colorado was normal to slightly colder than normal, with the coldest weather being just east and south of us. 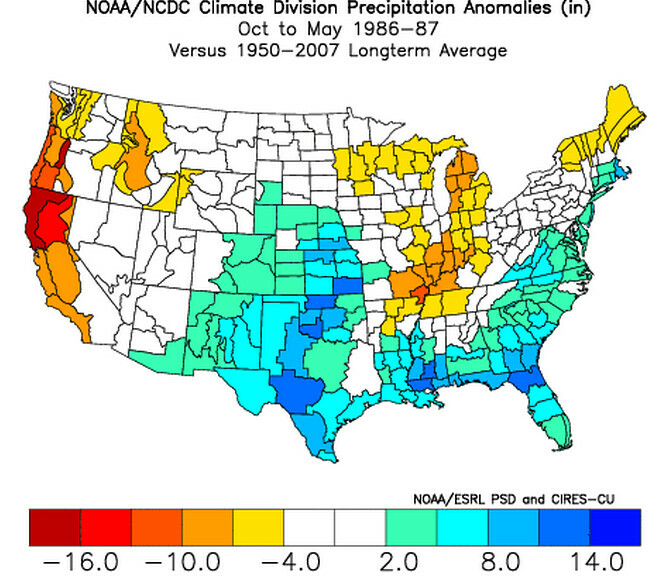 Yellows to reds mean drier than normal, while greens and blues mean wetter than normal. 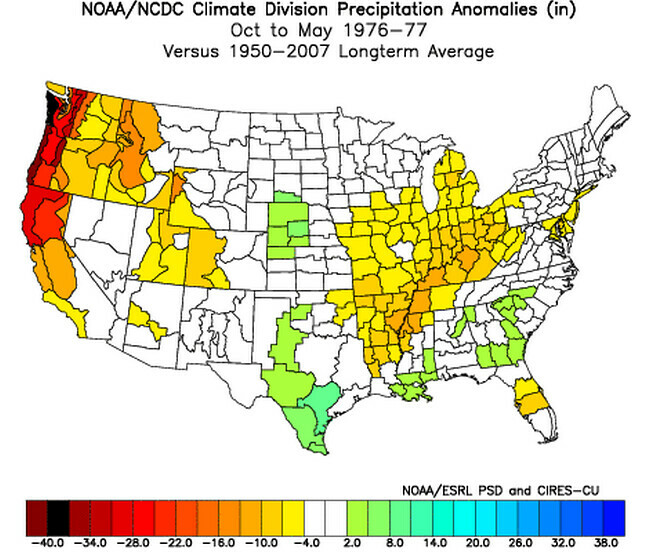 For this period, Colorado was slightly wetter than normal, as was most of the southern tier of the country. Same story here, with a very cold pool of water in the northwest Pacific Ocean and relatively warmer than normal water near the West Coast and in the ENSO region. We see colder than normal for the southern and eastern tier of the country, with warmer than normal temperatures in the far Northern Rockies/Plains. This winter was legendary in the eastern part of the country due to how cold it was. Above normal moisture was hard to find here. The west was dry, as was the Mississippi and Ohio Valleys. At least the eastern part of Colorado had normal moisture during this time, with above normal moisture in parts of the Nebraska and Texas. 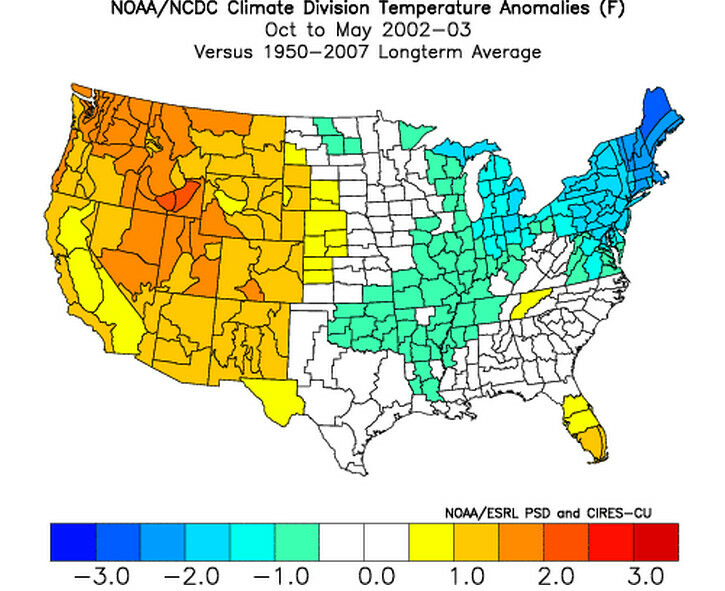 We see this analog year was quite warm in the northern tier of the country, with mostly normal temperatures for the rest of the country. The one exception was areas of west Texas and New Mexico. This is where the signal really shows up...Dry California, Great Lakes and Ohio Valley. Wet Colorado and most of the Plains states, eastward into the Southeast. While a lot of the Pacific looks very similar to where we are and likely where we are heading, that warm pool just off the coast of Western Canada may be too warm. 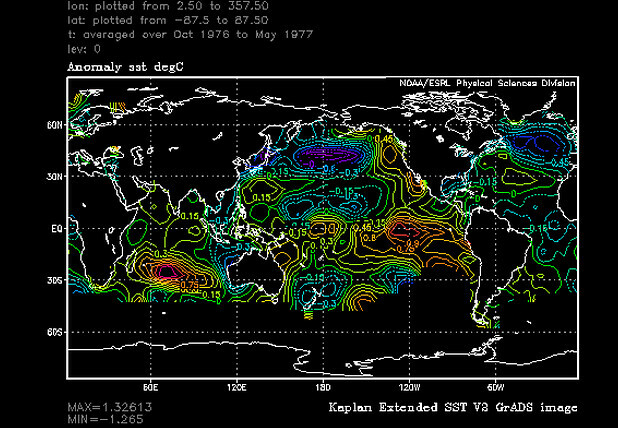 Otherwise, I really like this particular SST analog year. 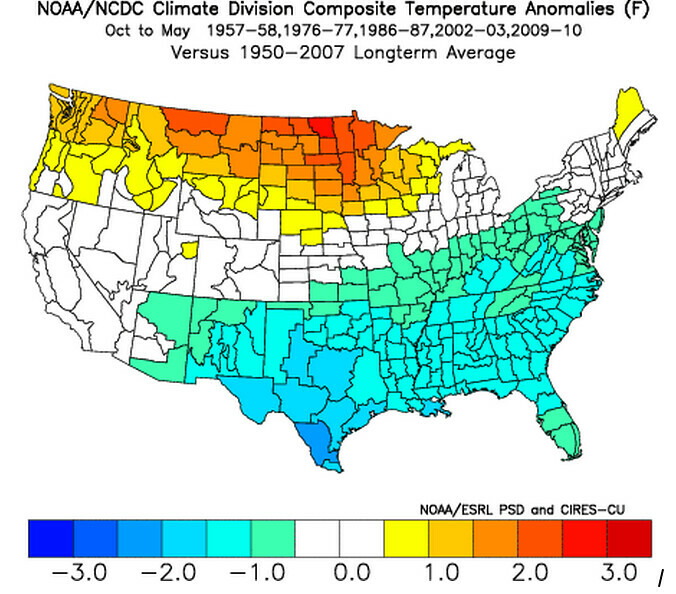 This year has a less clear cut signal unless you live in the far south and southeast. That slightly wetter than normal signal in the northern part of Colorado was largely due to the major blizzard in mid March 2003. Otherwise, the winter and early spring was quite dry. 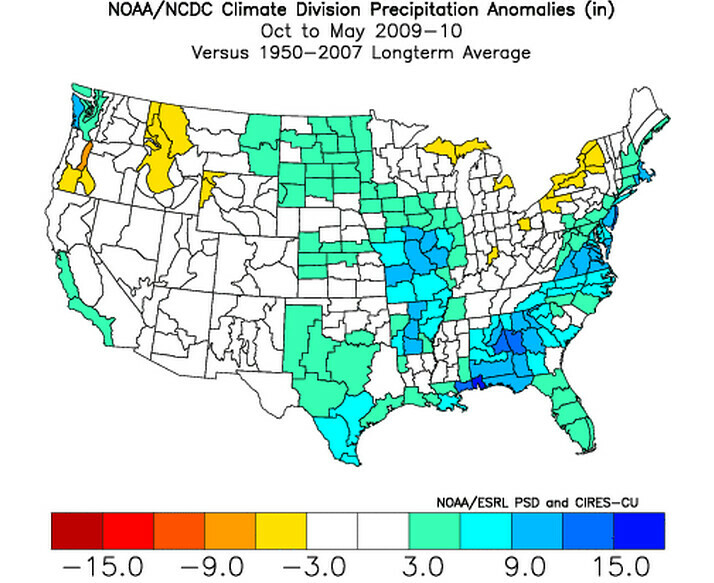 The lack of moisture for the whole state was largely made up in the spring. 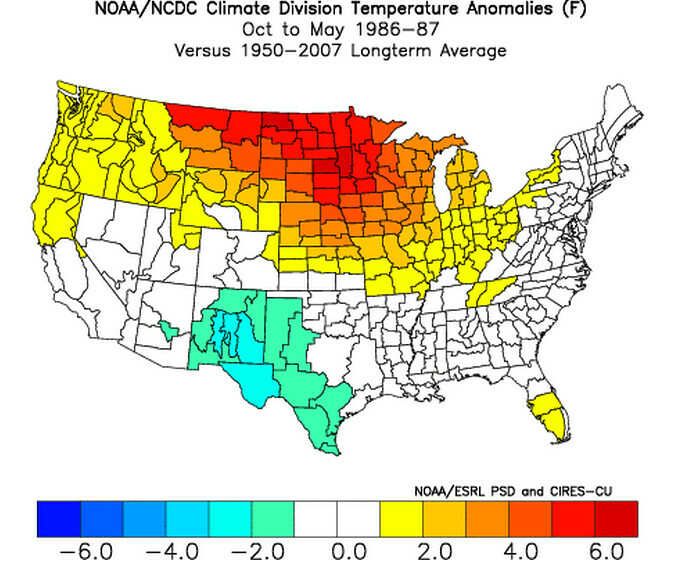 Almost the entire country was generally cooler than normal during this time. The obvious exception was the Great Lakes Region and The Northeast. Otherwise, this was one of the colder fall/winter periods in recent memory for folks in the Southern Plains and Southeast. The wettest areas were the Western High Plains just east and southeast of Colorado, parts of the Mississippi Valley, and of course the Southeast. 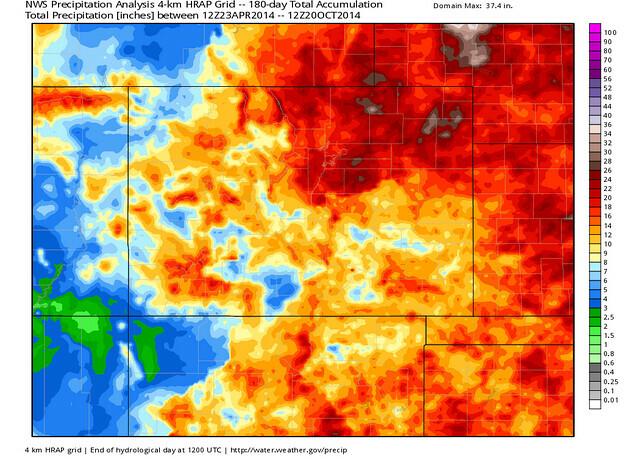 Colorado had decent moisture, but nothing excessive after a wet and cold fall. 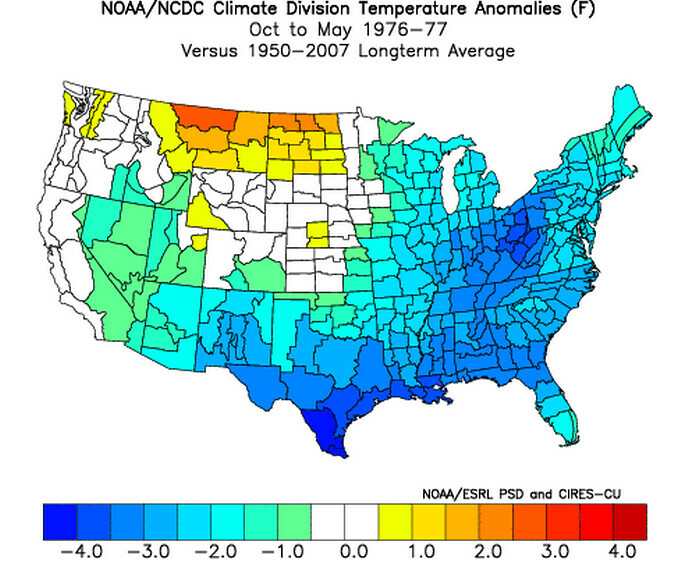 Overall, I think it is safe to say that our analogs produce cooler than normal weather in the south, warmer than normal weather in the north, and generally “normal” temperatures for Colorado. They also produce slightly wetter than normal weather in the South/Southeast, drier than normal weather in the Pacific Northwest and Great Lakes Region. 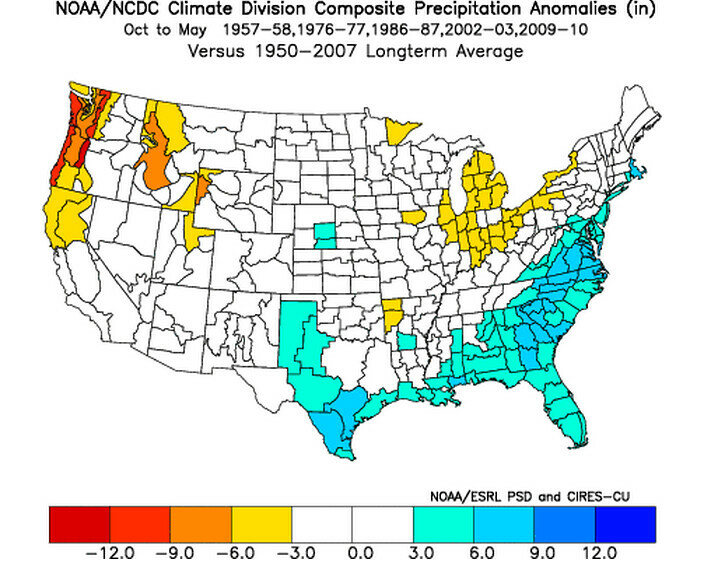 Again, Colorado shows up as having “normal” precipitation. Do I think it will be like this? Not exactly. 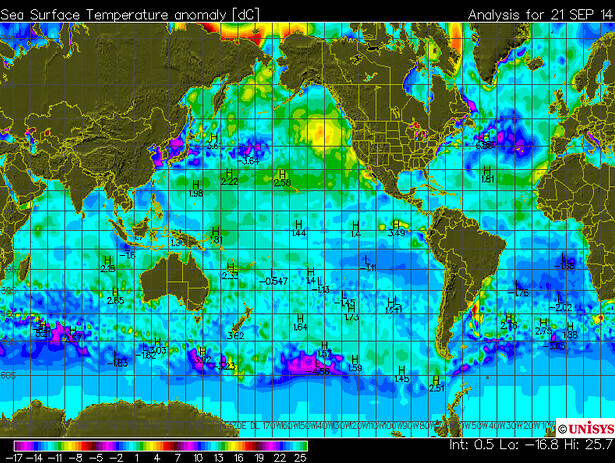 Whatever type of El Niño episode that develops will likely be weak. 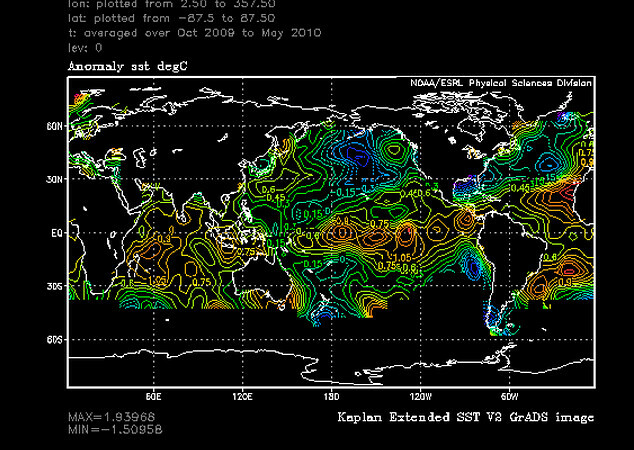 That means that some of the traditional signals will be a bit weaker, and possibly displaced. Coming up in a few days, I will post part two of this outlook, which focuses on model data and why I think that ONE particular model has a good handle on the overall forecast.